Last week, I told you about the 30 priority bills that are my priorities this session. 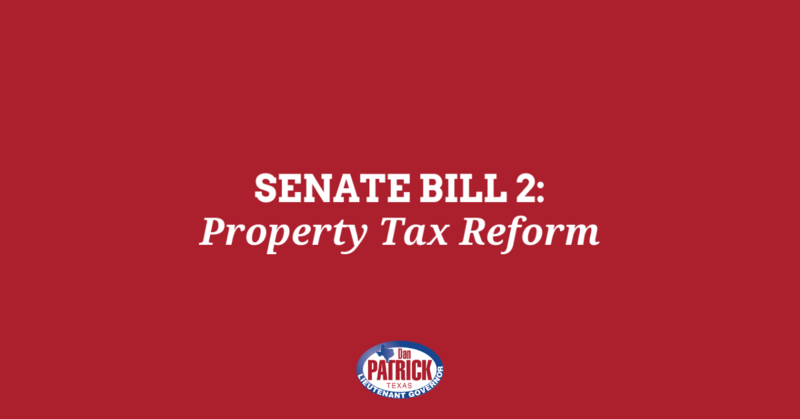 The State Budget is always Senate Bill 1 and Senate Bill 2, property tax reform, is my top policy priority. Texans are burdened with some of the highest property taxes in the nation. Except for the local city and county elected officials who want to continue to raise your property taxes without limits, everyone in Texas agrees that our property taxes are too high. SB 2 will require local entities that raise their revenues by more than 2.5 percent to bring it to a vote of the people. This is a critical step toward finally reining in the skyrocketing property taxes that are getting worse every year. 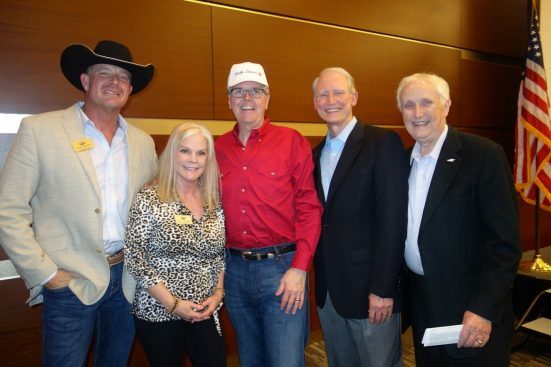 It will help alleviate the burden that is hurting Texas families and crippling Texas businesses. Senate Bill 5, which increases the homestead exemption, is also a top priority. This legislation, authored by Senator Paul Bettencourt, R-Houston, increases the state-mandated homestead exemption by $10,000 – from $25,000 to $35,000. 5.37 million Texas homeowners are eligible for relief under SB 5. Click here to sign our petition if you agree that property taxes are too high. 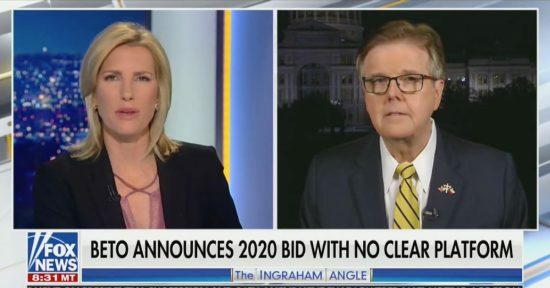 You may have heard all the news about Beto O’Rourke that you care to hear, but on the day he announced he is running for president, Laura Ingraham called and asked me to come on her show and talk about him. In case you missed it, you can watch the interview here. We plan to pass Senate Bill 6, the disaster Response Act, Senate Bill 7, the Flood Disaster Matching Fund and Senate Bill 8, the Statewide Flood Plan this week. These three bills will ensure we are better prepared for the next disaster in Texas. They also will help us secure the federal funds we need to rebuild in the 50 Texas counties that were damaged in Hurricane Harvey. Senate Bill 8 will also help us shore up earthen dams around the state to prevent flooding in the future. 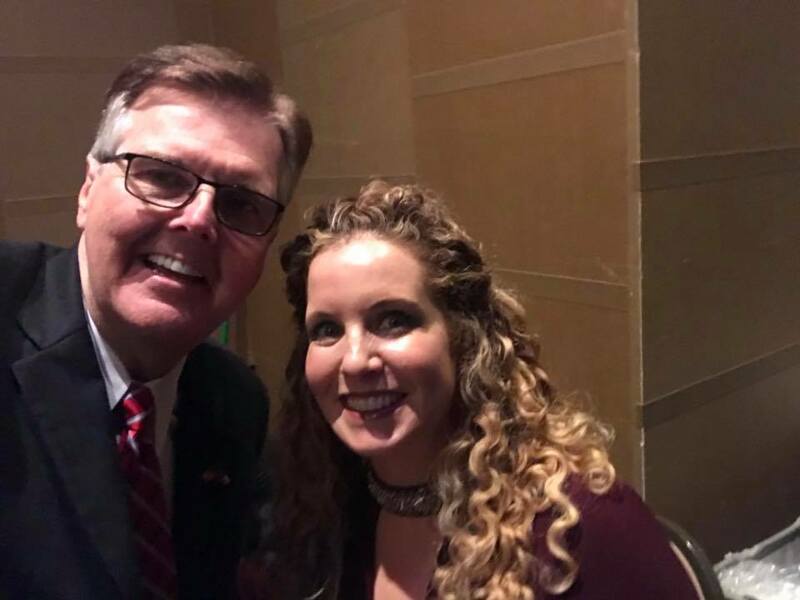 On Tuesday, the Texas Senate will hold a hearing on the Texas Born Alive Infant Protection Act – Senate Bill 23 – by Senator Lois Kolkhorst, R-Brenham. Texans were horrified by the callous disregard for life we saw when Congress refused to take a stand against infanticide. We have seen similar assaults on life in other states. 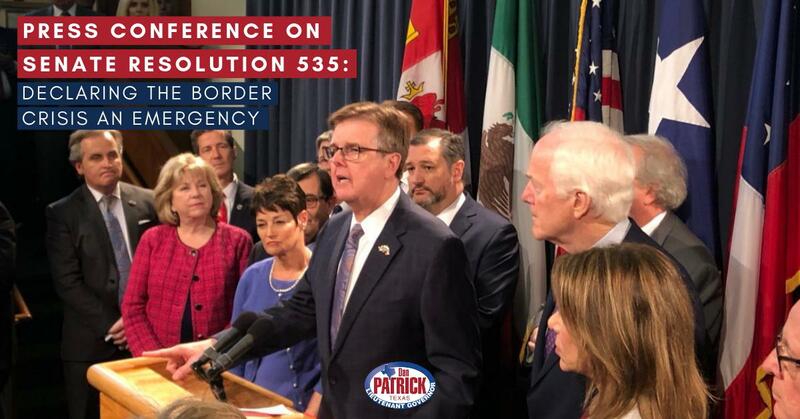 The Texas Born-Alive Infant Protection Act will strengthen the strong protections we have in Texas for the unborn and the children that survive abortion. If you are not in the Capitol to testify, you can watch the hearing online here. 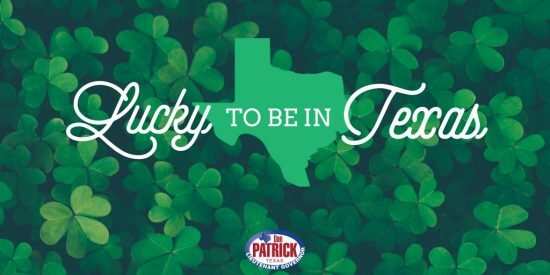 On this St. Patrick’s Day, we are all reminded that we are very lucky to live in Texas. Our state continues to lead the nation in job creation and economic growth. We must continue to fight for our conservative principles and values to assure that our state remains strong. I am very proud to serve as your Lieutenant Governor and I appreciate your continued support. May God bless you, your family, and the greatest state of all—Texas.